Oil refineries are industrial plants critical to the production of oil, one of the most commonly used resources around the world. But what role do lifting hoists play in this process? An oil refinery is a processing plant where crude oil, also known as naturally occurring petroleum, is processed and refined into a host of more useful products. This, as examples, could be gasoline, diesel fuel or heating oil. They are huge, industrial plants, dominating the area that they occupy. The need for, and reliance upon, these plants has meant that they have naturally grown in size. They have become one of the most important processing plants around the world, helping us in many ways. You’ll find that they supply the oil for our cars, of which there are 1.015 billion in the world. They help to power much of our energy supplies around the world, a use which is increasing. Crude oil is even used to create plastics, one of the most popular materials used in the modern world. In fact, it is estimated that there are around 8.3 billion tons of plastic in the world. 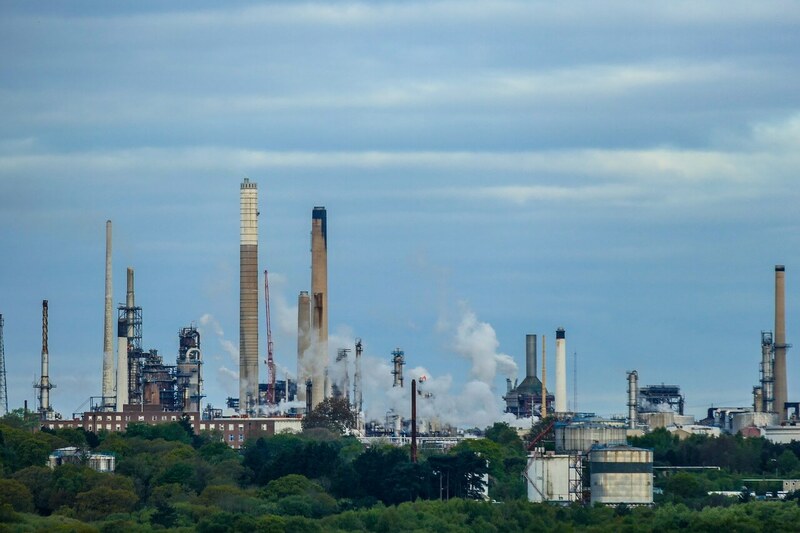 Clearly, the importance of oil refineries can’t be understated. But how important are hoists in this process? The use of hoists in this industry works in much the same way to how they are used in chemical plants. They are used throughout the manufacturing process, helping to handle the crude oil at the very beginning, moving it safely through the plants, and even loading it onto transportation trucks at the end. You will also find them being used to move around tools, barrels, and even workers who need to work at height! Are hoists only used in oil refineries? Not at all! In fact, hoists are some of the most popular pieces of lifting equipment around the world, and find themselves being used in dozens of different industries for many, many applications. For example, it is commonly used in the entertainment industry, for mining purposes, in warehouses and on construction sites, and even at trade shows and fairs. If you would like to find out more about the extensive uses for hoists, or if you’re ready to source yourself your own piece of lifting magic, then please don’t hesitate to get in touch here.